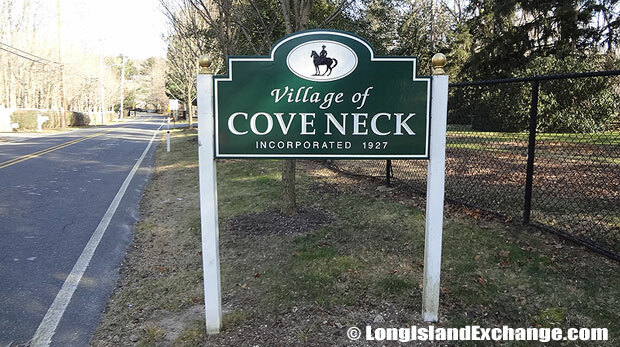 Cove Neck is a village located in Nassau County, Long Island, New York. It is within the Town of Oyster Bay. As of the 2010 census, there were 286 people, 104 households, and 76 families residing in the area. The median income for a household in the village was $146,250 and the median income for a family was $199,375. Males had a median income of $108,125 and $97,500 for females. Cove Neck ZIP Code is 11771. The latitude of Cove Neck is 40.882N. The longitude is -73.506W. It is in the Eastern Standard time zone. Elevation is 23 feet. 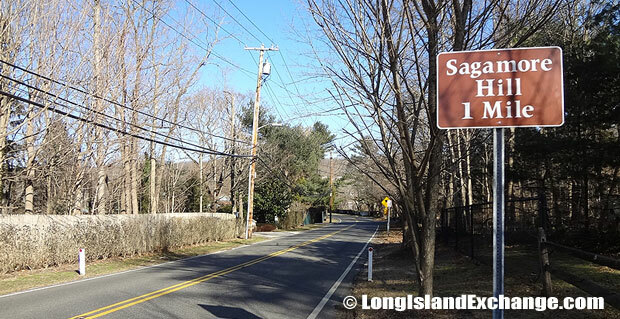 A sign welcomes visitors and residents to Cove Neck, a village located in Nassau County which became incorporated in 1927. 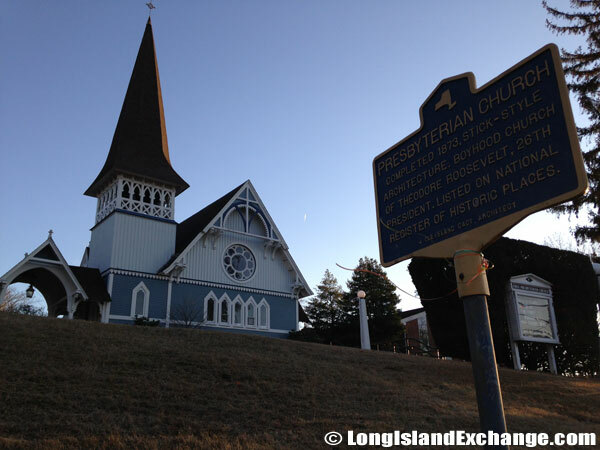 First Presbyterian Church of Oyster Bay was built in 1873. On December 12, 1976, the church building was added to the National Register of Historic Places. In 1650s, the area was first settled by English farmers. The Cooper family, namesakes of Cooper’s Bluff on its east end, farmed a large part of it in 1682. During the American-Revolution War, Capt. Daniel Youngs spent the war here harassing Hessian soldiers who tried to steal from his cider press. After the war, Youngs hosted Washington in his 1651 house. In 1954, house was sold to P. James Roosevelt and finally Charles Wang bought it in June 1997. During the American-Revolution War, Capt. Daniel Youngs spent the war here harassing Hessian soldiers who tried to steal from his cider press. The grandfather of the late President Theodore Roosevelt named Cornelius Van Schaack Roosevelt was the first Roosevelt to discover Cove Neck as a vacation site in 1871. 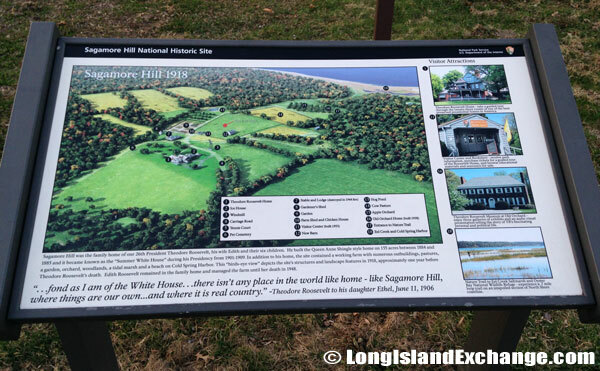 Theodore Roosevelt constructed a Queen Anne Revival home on 70 acres called Sagamore Hill. It was known as a Summer White House in between 1901-1909 and is now a National Historic Site to preserve the house as a unit of the National Park Service. Cove Neck became an incorporated village in 1927 and also the crash site of Avianca Flight 52. The Theodore Roosevelt Museum, which chronicles the life and career of the President. 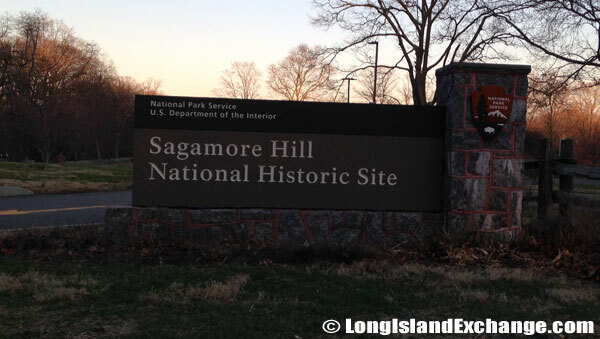 On July 25, 1962, Congress established Sagamore Hill National Historic Site to preserve the house as a unit of the National Park Service. Well-known residents who once lived in Cove Neck include Theodore Roosevelt (Former President of the United States of America), John McEnroe (tennis star), Charles Dolan (founder of Cablevision), and Charles Wang (chairman of Computer Associates International). Wang is also is the majority owner of the New York Islanders & New York Dragons sports franchises. The racial-make up of Cove Neck comprises of 92.53% White, 0.00% Black, 6.10% Asian, 0.00% Native American, and 1.91% claim ‘Other’. Cove Neck is amongst the religious place in New York which 76.00% of their people affiliate with a religion. A map of the grounds at the 83 acres of Sagamore Hill National Historic Site. 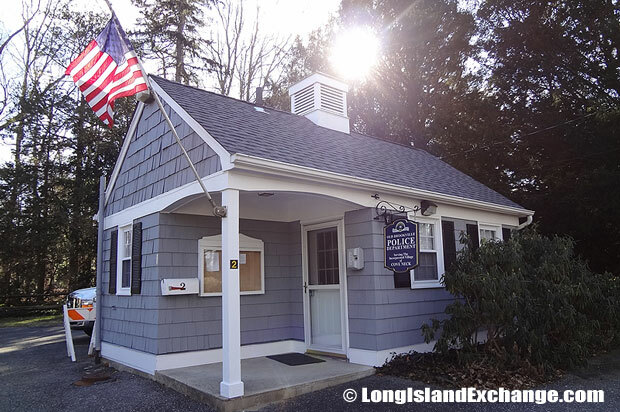 The Cove Neck Police Booth at 4 Cove Neck Road, Oyster Bay. Cove Neck is served by Oyster Bay–East Norwich Central School District which has four schools. The schools have a reputation for excellent academic programs and student accomplishments. The district enjoys the lowest true value tax rate in Nassau County, yet their pupil expenditure is one of the highest in the county. 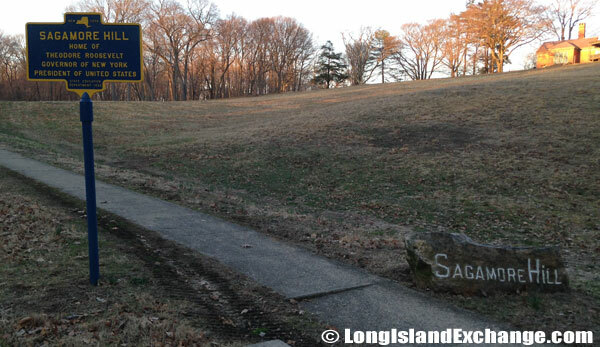 Sagamore Hill is one of the historic landmarks in Cove Neck. President Theodore Roosevelt spent a couple of years here until his death. Today, the twenty-three room house is open to the public by guided tour, and almost all the furnishings are still original.